Climatrol is a company rich in both tradition and history. Founded in 1969 by James Garner, the company was founded upon a sound business plan that is still in effect today. James Garner developed the footnote that is still on all the company letter heads that reads “No equipment is better than the installation and service behind it”, and he strived to maintain that every installation, whether big or small shall be installed in this manner. This is how Climatrol, Incorporated was started, and 50 years later, still adheres to this standard. In 2006, James Garner retired, and sons Rod and Mark Garner now operate the business. 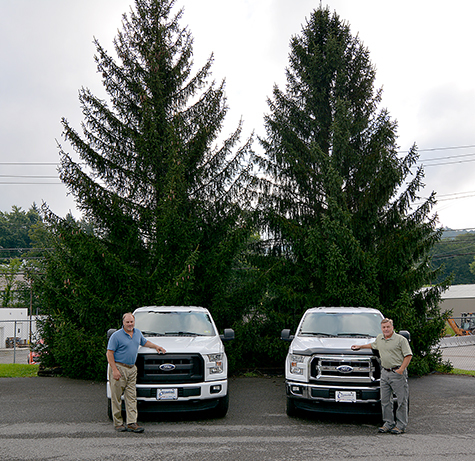 Both Rod and Mark graduated from college with degrees in engineering, and in having grown up in an HVAC family, they possess both the experience to handle the technical aspects of the business, as well as holding fast to the core principles that have been in place since the company’s founding. Click the play button above to hear more about Climatrol. Over the years, the world has changed many times over, but the way we heat and cool our homes and businesses is still, and always will be in high demand. Back in the 60’s, residential heating consisted of a gas furnace or boiler that produced large amounts of heat, however, with the cost of natural gas, efficiency was not of huge concern, and the majority of homes did not have central air conditioning until the late 70’s and early 80’s! Over the last 50 years, Climatrol has been a leader in adopting the newest technology that affects our industry. With today’s utility costs, efficiency has never been more important! From equipment selection, to duct design, we evaluate every system to offer the customer the best system for their home or business. We were here yesterday, we are here today, and we will be here tomorrow! Climatrol, Inc is a company that has stood the test of time. Over the years, we have been offered a dealership of every brand that is manufactured, however, we have chosen both York and Lennox brands of equipment because we feel that they provide us with the ability to take better care of our customers best interest. Both York and Lennox offer a complete line of products to meet our designs, and offer the most important component, support after the sale should warranty issues become a factor. Our pledge to our customers that we will provide service after the sale is key to our longevity as a business, and we feel that this commitment to “taking care of the customer” is shared by both Lennox and York brands of HVAC equipment. All of our employees are completely and fully trained. We carefully choose our installation, repair, and maintenance technicians based on their skill level, as well as the amount of care that they invest in each job. 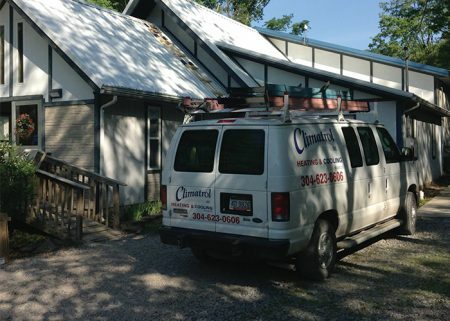 At Climatrol, we want to be your go-to residential and commercial contractor in Bridgeport, and throughout our entire West Virginia service area. Your satisfaction is our number one priority. Aside from our careful choice of trusted manufacturers, we work hard to ensure that each employee is equally trustworthy to install and maintain each unit so that our customers are able to take full advantage of the manufacturer’s warranties. We do not use our customers as training tools or apply guesswork and charge you for it as we go. When the job needs done right the first time, and with reliability for the duration then Climatrol is your best choice. Contact Climatrol to request a quote, or for answers to your HVAC questions: (304) 623-0606. Our friendly office staff is available to schedule your installation, repair, or maintenance services.